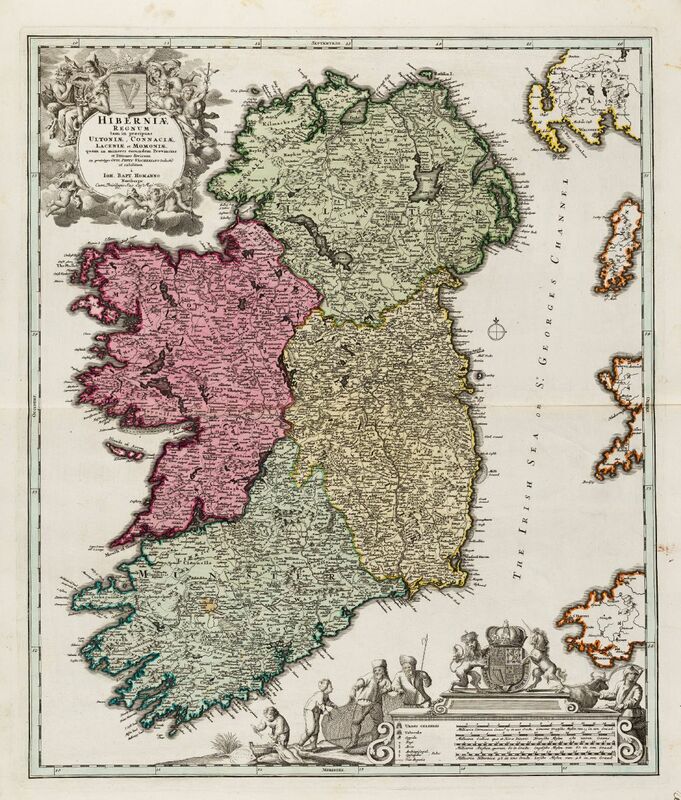 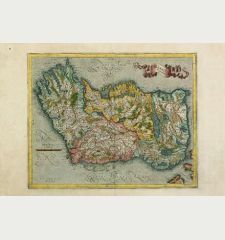 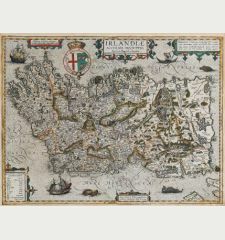 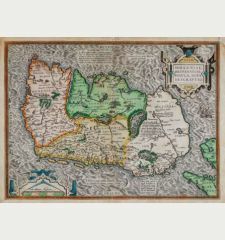 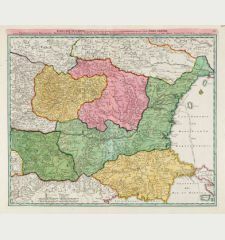 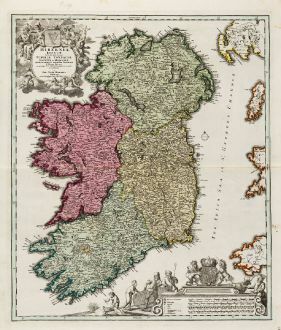 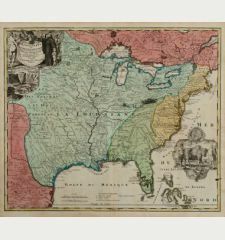 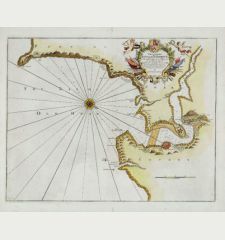 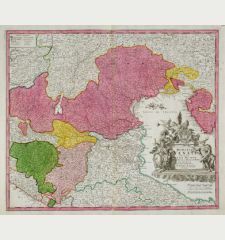 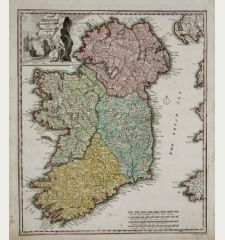 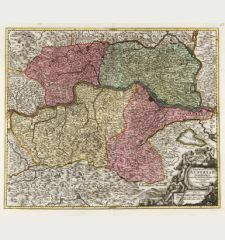 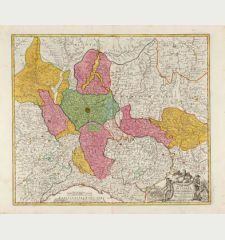 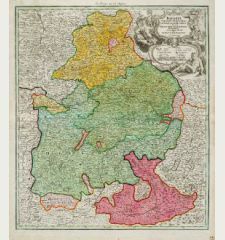 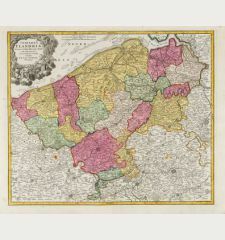 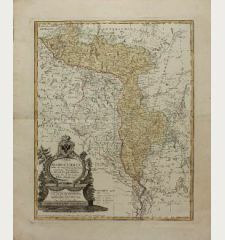 Old coloured engraved map of Ireland by Johann Baptist Homann. 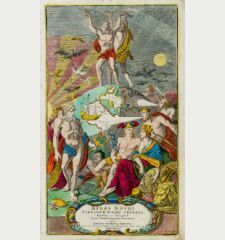 The beautiful title cartouche shows the Irish coat of arms with the Celtic harp, below a decorative mileage scale with the coat of arms of the United Kingdom and scenes of fishing and agriculture. 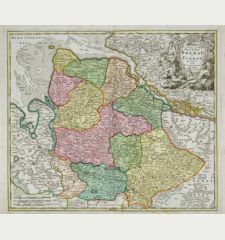 Excellent condition with striking old colours. 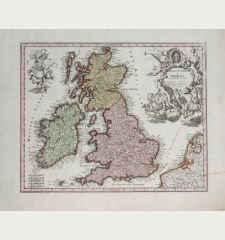 Never framed before.